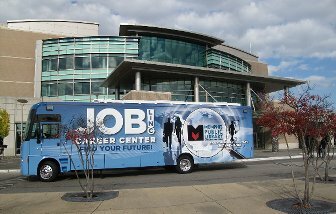 Bellevue’s Career Transition Ministry is hosting a Career Expo for those seeking a career change. Various employers will be on site as well as representatives from local schools. Visitors are encouraged to bring resumes and dress for success. For more information about this event, please contact Paul Van der Merwe at pvandermerwe@bellevue.org or (901) 347-5839. Ballet Memphis is seeking a part-time Marketing Intern. This staff person will work a flexible schedule, including daytime hours and occasional evening and weekend hours as needed. This person will provide support for our marketing firm in the areas of design and layout of programs, flyers, invitations, and other promotional material. This person will take a lead role in directing and executing our social media campaign with regular photography and video of our dancers, school, and community events to be posted online. Developing social media story-lines and innovative content is desired. They will also work on special projects and events as needed by the development and partnership departments, representing Ballet Memphis in the community. Special events may include fundraisers or community events at which the Ballet Memphis company or Youth Ballet Memphis perform. This intern position is considered a staff position and will participate in staff meetings and training as required. The ideal candidate will be a fourth year undergraduate or graduate student and will work for academic credit or as a paid position. Proficiency in Facebook, Instagram, Twitter, Snapchat, and other forms of social media, in addition to Microsoft Office and Google Mail is expected. Proficiency in Creative Cloud and photography skills are desirable. Candidates must also possess outstanding customer service skills, as well as a pleasant, positive, and professional attitude toward their work, the staff, and Ballet Memphis patrons. Please submit a cover letter and resume to cmccormick@balletmemphis.org. Note Marketing Intern in the subject line. Are you looking to be a part of a high-energy, diverse team that allows you to speak your mind and take charge of your own projects? Are you a go-getter type, who thrives on closing business, so much so that you only stop slamming sales when we tell you to? Then you might want to consider working with Caissa. revenue generation, as part of our online reputation and visibility service line. The Sales Manager will work directly with the project management/implementation team and report directly to the CEO on progress. Successful candidates will have a proven track record selling complex products/services in a B2B environment, along with an understanding of the digital marketing and online reputation universe. Networking, problem-solving, and strong proposal writing skills are favored. Knowledge of and previous use of sales force is preferred. EPIcenter is the hub of the Greater Memphis entrepreneurship movement. With its network of partners, EPIcenter is the enabler of unified strategies to increase support to new and existing entrepreneurs for business growth. Serving as the broader voice of the partner network and a single point of accountability, EPIcenter measures and celebrates the impact of entrepreneurial support to create a just, inclusive, and growing economy that accrues to all Memphians. Ballet Memphis is seeking to hire a full-time School Administrator. This staff person works as an integral part of the Patron Services team and will report to the Director of Development and Communications. This staff person’s role is to provide direct support to the School Director in all administrative functions, including student enrollment management through the database system for our year-round and summer programs; direct and proactive communication with all school parents and new inquiries; coordinating new student placements; completing student registrations; tuition collection; and maintaining student data records in our system. This position will assist in developing and enforcing school policies, coordinating special projects, providing support to teaching staff and additionally supporting student auditions, performances and maintaining student rehearsal calendars. This position serves as the liaison for our School and outside organizations, as well as facilitates communication and coordination between Ballet Memphis and it’s second location at the Memphis Jewish Community Center. Additionally, they serve as the key liaison for the Ballet Memphis Parent’s Association and work with this group in support of School events and coordinating parent volunteers. This position also works in conjunction with other departments within Ballet Memphis, including production, community programs, marketing, development, and our artistic team to coordinate events and other projects. The School Administrator primarily serves as the ambassador for the Ballet Memphis School, and provides outstanding service to our students, parents, patrons, partners and staff. This staff member will regularly greet parents, students and guests, answer phones, assist with box office ticket purchases, direct patrons and serve as a main resource to our school families. This position will work during Ballet Memphis School hours which are afternoon and evening hours Monday through Thursday, as well as Saturday morning. Other hours and days will be required as needed. This is a full-time position with benefits. Outstanding customer service skills, a pleasant and positive attitude towards all of our patrons, and great attention to detail are required. Excellent skills in Microsoft Office and Google Apps is needed. Previous dance studio/school management or a background in dance or dance education, is preferred. Knowledge of Theatre Manager or another ticketing database is a plus. We are looking for a part-time Administrative Coordinator to join a collaborative team of 15 designers that provide high-quality Architecture and Interior Design services in the Memphis area. We seek a proactive, critical-thinking individual with a 4-year degree, proficiency in Microsoft Office and Adobe Creative Suite. The Administrative Coordinator will be responsible for a wide range of administrative support duties in the context of a dynamic, creative and design-driven environment. Under the general supervision of the Public Relations Manager, the Senior Public Relations Coordinator coordinates various communications and public relations plans, programs and projects; conducts media relations; and provides assistance to the Director of Marketing & Communications to build local and regional awareness of Youth Villages among the general public and key stakeholder groups, with focus on outlying states where the organization has locations. Coordinates the digital PR strategy for Youth Villages in helping to identify social influencers, etc. Performs other related duties as assigned or directed to meet the goals and objectives of the department. Ideal candidate should have strong media relations in the Memphis market, as well as experience with regional and national media. Assists the Public Relations Manager with the development and implementation of comprehensive traditional and digital public relations plans for Youth Villages and its various services, programs and events. Conducts media relations in key markets to support overall organizational and departmental objectives; works with the news media both proactively and reactively. Is on call 24/7 for journalists and crisis situations. Stays apprised of situations in key markets, ensuring PR is conducted accurately, timely, within budget parameters and in a way that supports operational goals. Regularly evaluates the effectiveness of PR strategies and tactics and reports on status of plans and results of work. Stays apprised of issues affecting the organization, including competitor work. Conducts media training and coaches and prepares staff for news media interviews. Conducts programs and events, such as news conferences and training classes. Ability to interview families, young people and write stories for various uses. Ability to take photographs suitable for publication and reproduction utilizing 35mm camera equipment. Understands how to maintain good relations with co-workers, vendors, children and their families, journalists, donors, etc. Bachelor degree in journalism or public relations (majors in communications or marketing may be considered). Minimum of five years of experience in public relations/communications, with strong media relations experience preferred. Excellent verbal and written communications skills are required. activities within a Christ like environment.